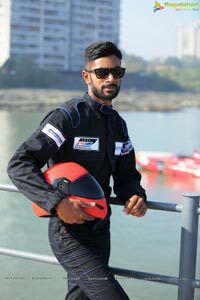 India, 15th Feb, 2017: The fastest Indian men on land, APRC Champion and India’s best Cross Country Rally Driver, Gaurav Gill, and India’s most accomplished supercross & rally-raid champion C S Santosh, are experimenting a sea change in their life to be the fastest men on water too! 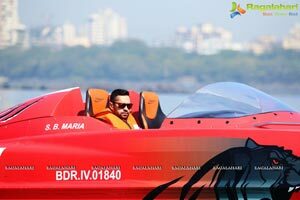 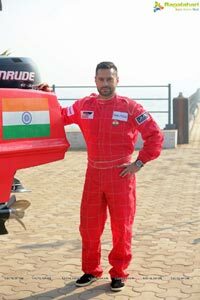 Piloting powerboats in the NEXA P1 Powerboat, Indian Grand Prix of the Seas, the FMSCI Motorsports Person of the Year 2017 and the only Indian to have completed the Dakar Rally twice, look determined to extend their prowess to water during the weekend of March 3rd 2017 in Mumbai. 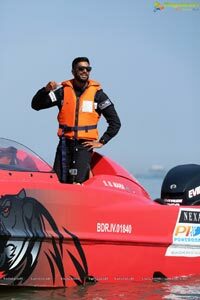 The Nexa P1 Powerboat, Indian Grand Prix of the Seas, which will be conducted on the first-ever course on water, comparable to a racetrack, challenges the status quo and combines the best in innovative technology and bespoke maritime strategy.